There is one unbroken shot in the last hour of “Willow Creek” that is reason enough to applaud the chutzpah of filmmaker who finds inspiration among formula. Directed by Bobcat Goldthwait (yes, that guy! ), the scene features two single figures sitting inside of a tent at night while the light from the camera fills the space with an ominous point of focus. They are awake because they hear noises – many of them slight and non-threatening, but so patterned that they begin to suggest the presence of some unseen threat tiptoeing beyond the shadows. What is the source? The lack of an answer has become a well-known cliché in this genre of found footage horror excursions, but that isn’t the point; it all comes down to the fact that any notions of excitement (or skepticism) are replaced by fear of uncertainty, and while most films would lose sight of the human faces in a nonsensical display of camera jumbles and swift chases in the dark, the frame remains on them for gradual reactions, and finds ones that would be effective in almost any context. Seeing them in yet another one of those genre excursions reveals an intention that one hopes could be utilized in something much grander in scope for future endeavors. That is not to say “Willow Creek” is a waste of talent outside of that one moment, but gosh darn it, I’ve lost count as to how many times I have seen this story told in this format. 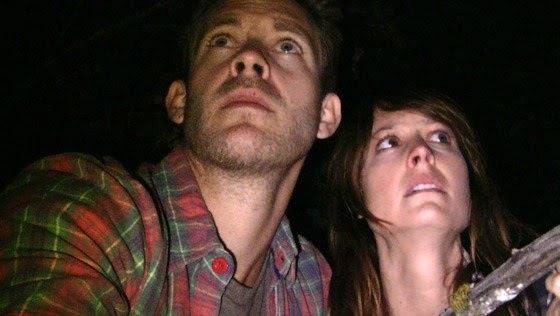 Echoing the underlying premise of “The Blair Witch Project,” the film involves two characters who venture out into the woods with a camera in tow in order to uncover the truth surrounding an unanswered mystery – in this case, whether Big Foot is a real creature, or simply a legend invented by imaginative locals. Citing notorious footage filmed in 1961 that depicts an actual citing of the enormous creature, the eager Jim (Bryce Johnson) wanders into the wilderness with eyes widened in anticipation; his wife, the more pessimistic Kelly (Alexie Gilmore), appears to merely be along for emotional support. The first half of their journey involves a lot of preliminary banter, usually playful or argumentative. Then, when the final stretch of travel culminates in a moment when they are threatened by a menacing figure standing at the edge of the road, it serves to underscore what is inevitable in horror movies: the prospect that all further descents will involve a succession of creepy moments that culminate in some sort of violent ambush. You and I have nearly committed the drill to memory; it’s just a wonder anymore that characters in movies like this aren’t as self-aware, especially if a camera is present during those foreboding antics. While a fairly significant slice of this genre depends on the ignorance of curious onlookers in order to exist, they have, for the most part, learned to grow with their respective scenarios. One of the more successful recent found footage ventures was “Paranormal Activity,” about a couple who are haunted by a malevolent force that might have gone undetected if not for the fact that his movements could only be tracked by surveillance. In that film, the two figures are isolated in a house fully aware that what they are doing is a consequence of something strange, and the cameras are their window into overcoming its games. The heroes in “Willow Creek” have the wonder but not the wisdom of more informed players, and even by the end of their journey there is little evidence that they would have ever been able to use the discoveries they are given to more useful ends other than running in a certain direction while screaming through the trees. Does an eccentric man like Bobcat Goldthwait understand this sort of conundrum? I would imagine so. Though there is no visible attempt to contradict the wave of clichés that follow his movie through to the final frames, isolated moments play humorously, as if to suggest he admires the way things are without the glitz and polish of more audacious twists. Nearly all of the picture is a travelogue through locales in the Pacific Northwest playing up to the inevitable final showdown, and in many of the exchanges with locals, the antics of Jim and his wife are looked at with chuckles and skepticism (in one scene, a park worker at a Sasquatch road stop freely admits that she has never believed in the legendary beast). Perhaps the idea that his premise deals with Big Foot only adds to that vibe; not inherently threatening like the Blair Witch as a plot device, the creature has always been such a far-fetched concept that it is more often parodied than anything else. And even when the movie finally gets close to the dubious climax – one in which none of the specific details are shown, mind you – we aren’t able to convince ourselves that it could be real. Whatever is snarling beyond those shadows in the wilderness must surely be something much more disturbing than any image that Big Foot himself could conjure up in our imaginations, don’t you think? Much of this may make the film sound fairly disposable, but as a wheel-spinning formula picture, it could be far worse. There is nothing harmful or insulting about the concept other than its straightforward execution, and none of the dialogue is so forced that it feels calculated for the purpose of a buildup. The last half hour strikes a few distinctive chords, too; beginning with that terrific unbroken shot within the tent, the movie builds to a frenzied final showdown that creates just as much wonder as it does panic, if just for the fact that Goldthwait modulates the movie enough so that we never actually see any of the monsters lurking in the darkness. Who is the picture ultimately made for? Enthusiasts of the simplicity of the original “Blair Witch” picture will admire that it falls well within the tradition of keeping things low-tech. 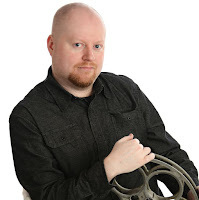 For those who have come to expect a little more of this genre over time, though, it certainly won’t say anything new or significant, other than the fact that an old comedian from the 1980s does, indeed, show some promise as a movie director.